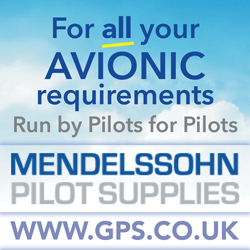 Good soaring conditions have led to reports of some excellent flights. 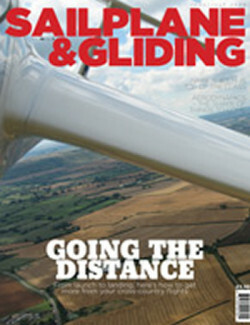 If you are looking to get more from your cross-country flights, don’t miss the June/July issue of S&G. Our experts guide you through from safer winch launching to the final turn. And if you do find yourself landing out with an airfield looking like your best option, make sure you have done your pre-planning. You may not be welcome – or you may even face a hostile reception – at some airfields, explains Peter Moorehead. Bruce McGhie set off cross-country in a bid to achieve Silver duration, having got bored with just circling in thermals locally. Going for badges had never been a searing ambition for Bruce, but he began to see quests for badges in a different light discovering that when you are working towards a badge you are sharper, more focused, and constantly honing your skills. Enjoying typical flights of 400km in some of the most dramatic scenery in the world, Phil Sturley waxes lyrical about an RAFGSA visit to Chile’s Club de Planeadores de Santiago, famous for the warm welcome it offers to visitors. In the mountains, all lift types are exploited, from long undulating ridge runs maintaining height to strong (10kt) thermals and occasional local wave. Moving on to the shape of things to come, the first in a series of articles from Loek Boermans looks at how recent aerodynamic developments at Delft University are applied in high-performance sailplanes, such as the Arcus, Antares and ASH 30. 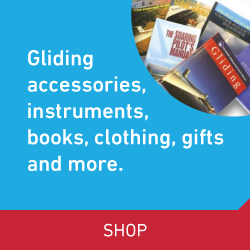 These sailplanes were among the toys on display at AERO, Europe’s largest trade fair, held this April in Friedrichshafen, Germany. Also attracting attention was Skylaunch’s reconditioned winch, now delivered and in use at Surrey Hills GC. Also in this issue: BGA Chairman Patrick Naegeli reflects on the importance of getting the right balance between reactive andproactive future thinking. BGA Development Officer Alison Randle provides a veritable smorgasbord of news and information for clubs. BGA Chief Executive Pete Stratten thanks owners and inspectors for their patience and cooperation and predicts that transition to Part M will settle into efficient airworthiness routine by the end of the year. George Moffat is in the spotlight as we introduce the Platypus Interviews. Jochen Ewald takes to the skies in the Nimbus 4DLM, Schempp-Hirth’s optimised two-seater flagship. We’ve a new series for beginners from BGA National Coach Mike Fox, plus the BGA club annual statistics. Andy Perkins gives us a scholarship update and, of course, there are more of your stunning photographs in S&G’s Gliding Gallery. Flying competitively overseas, Gary Stingemore invested in bug wipers. But can they help improve your performance?